Giraldus Cambrensis [Gerald of Wales]; trans. R. C. Hoare; intro. W. Llewelyn Williams. 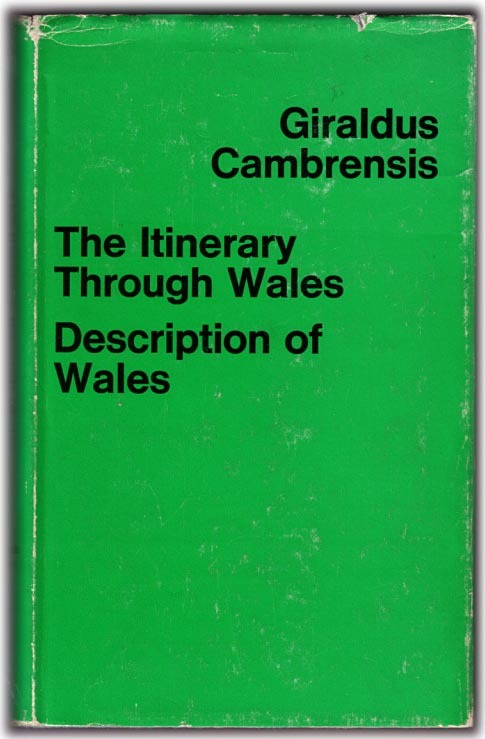 The Itinerary through Wales; Description of Wales. Published London: J. M. Dent, 1976 reissue (original edition was 1908). Series: Everyman's Library, No. 272. Overall condition fair to good: dustjacket somewhat worn; at least one page has some ink marks in the margin.